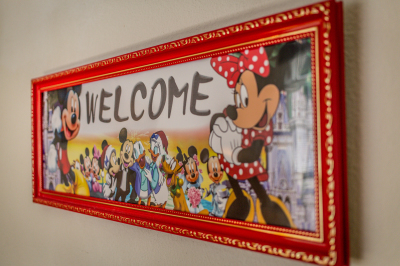 Your vacation begins with us! 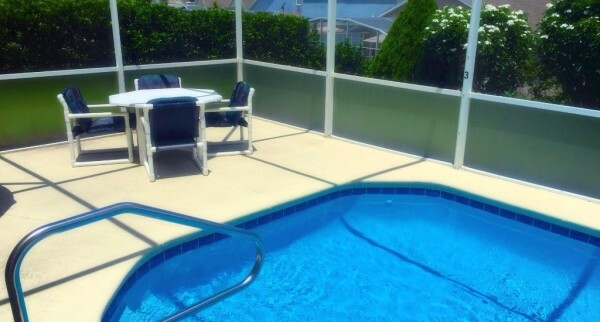 Relax by the pool, spend a day at the beach, visit the Disney Parks or pamper yourself in our luxurious Hot Tub. Whatever you look for in a vacation you will find it here. 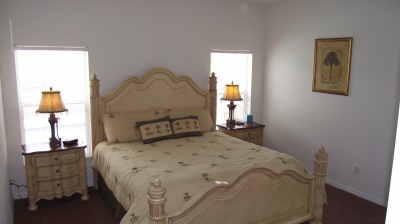 Our King and Queen Size Master rooms are furnished with NEW luxury furniture & bed linens. The villa sleeps up to 10 people & includes a crib for a baby. There are 3 twin bedrooms upstairs. 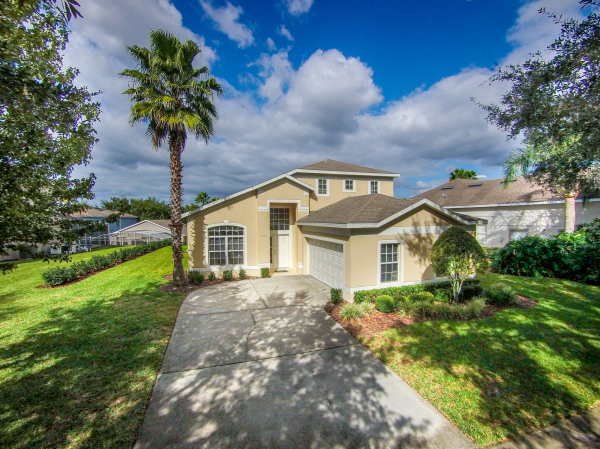 Emerald Villa is a spacious five bedroom home with its own Private Pool & Hot Tub, located in the prestigious Hampton Lakes development, only 12 miles from the gates of Walt Disney World theme parks. Our lovely villa provides all the luxuries of home and our aim is to provide you with a comfortable & relaxing vacation! Our home caters to guests with mobility difficulties by providing an adjustable shower stool & grab handles in the main shower. 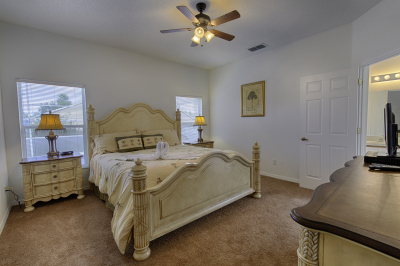 The two en-suite Master Bedrooms are located on the ground floor and we have portable ramps for wheelchair access over the small step at the front door & pool deck door. There is also a handrail at the steps to the pool. There`s a games room with a quality 8’ pool table, a 42" widescreen LCD TV with FiOS HD Cable Package (over 250 TV channels), complimentary Superfast FiOS wireless internet access, free international telephone calls and much more! Our gorgeous home is family owned and having travelled to Florida & stayed in villas for the past 17 years, we know how important your vacation is. 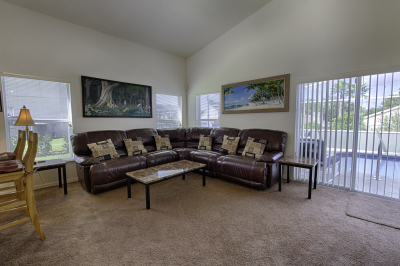 Your full satisfaction is a priority & we want you to have a relaxing, carefree & comfortable time while staying with us in the Sunshine State. Our aim is to provide a personal but professional service from your first enquiry right through to the moment you leave to travel back home. Our Management Company have been with us for a number of years and maintain the same values to make sure your stay is first class. They will normally visit the home on the day after your arrival to introduce themselves, answer any questions about the home and make sure everything is perfect for you. Are you a member of a Sports Club? Do you buy Personalised Corporate Gifts? 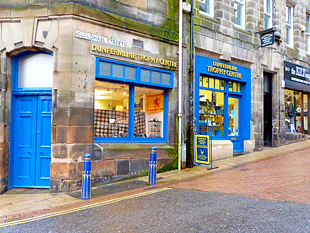 Please take a minute to look at our associated businesses. 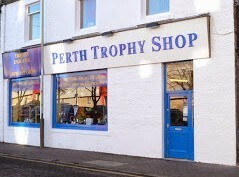 Both shops supply a broad range of sports trophies, awards, glassware, pewter gifts & more. All can be personally engraved with names or your company logo by our team of professional in-house engravers. You don't have to visit .... we offer ordering by phone or email.